The category of ethnic specialty crops has taken off considerably within the past couple years, and as growers bear witness to the market’s growing popularity, many are jumping on the bandwagon. 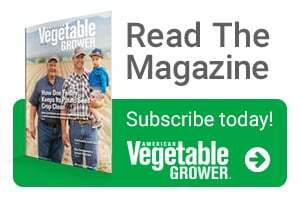 Despite many opportunities in the sector, Richard VanVranken, Extension specialist at Rutgers New Jersey, cautions growers to resist the temptation to dive head first into the category without doing their homework. Fortunately, most of them seem to be taking his advice. “[Growers] aren’t going out and overdoing it sight unseen. They are doing a lot of homework in researching what the plants are, how they grow, and putting out a few rows and beds to play with for a couple of years so they really know how to grow and package it,” he says. VanVranken is the co-founder of the Ethnic Produce Production and Marketing Working Group, a multi-state group of Extension specialists that researches and conducts programming on the marketing and production of ethnic specialty crops for East Coast growers. After decades of working with growers interested in specialty crop production he has seen his fair share of strategical blunders. “My biggest concern with any of these new crops is that somebody goes and out sees the wholesale prices or even worse — the retail prices — and they make a huge planting, and then have to rip it up [because it won’t sell],” he says. 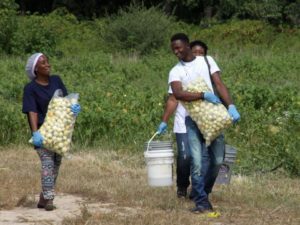 According to VanVranken, one of the first things you should do before planting any ethnic crop is to develop a reliable connection in your community, or make yourself known as a reliable part of your community. 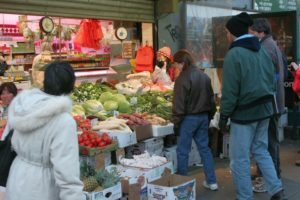 “Growers either need to have somebody in that community that has come to them, or who has worked for them for a few years growing or buying other produce. They can start planting the [ethnic crops] after that,” he explains. Familes carry Bitterball or Garden Egg eggplant (Solanum melongena). Making sure you’re growing for the right community is key, says VanVranken. For example, there may be two West African countries that are right next to each other that grow completely different crops. Knowing who you’re taking to and what they’re looking for is critical if you want to sell your product. To this end, VanVranken suggests finding out who your customers are, where they’re from, and get the best description you can of what they’re looking for. To help, VanVranken co-created the website www.worldcrops.org which helps growers find this type of data about their customers, and provides a fact sheet about production details on each one of those crops. 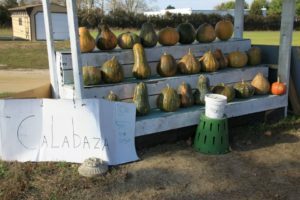 The ethnic specialty crop market has changed significantly since VanVranken first ventured into it 30 years ago. “The category has grown from Mid-Atlantic growers concentrating on Italian and Mediterranean products for example, to more Eastern Mediterranean and Asian products. Probably a good 20% of my farmers are growing some new ethnic crop that they weren’t 25 years ago,” he says. One of the most popular crops in VanVranken’s region is cilantro because of the cross-cultural demand from Asian and Latino markets. Following cilantro is fenugreek, largely consumed by the Indian population, as well as Asian bitter melons, and different varieties of eggplants from Africa and Asia. Looking ahead, VanVranken sees increased movement in the category of warm season greens, which are being used in different ways than in the past. “We don’t typically use the growing points or the tips or leaves of these plants, we tend to eat the fruit or the roots. This would be things like sweet potato greens and tips and standard English snow peas that are grown for greens,” he says. 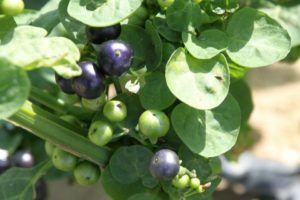 He also mentions slightly more unusual crops such as Malabar spinach, and Rosel, which have recently gained popularity with African immigrants. Introducing new products to your rotation often comes with a learning curve. While some of these new crops may fit into systems you already have in place, it’s important to research crop needs before planting. “Things like bitter melons or luffas require trellising, and like cucumbers they can get anywhere from 2 to 4 feet long. If they’re trying to grow them on the ground, they’ll grow in odd shapes like curves and circles and they’re just not marketable at that stage,” VanVranken says. Solanum scabrum, also known as African nightshade or black nightshade. The key to being profitable in specialty crops is to keep your costs under control and learn to price your product right, he explains. “This is partly a seller’s market. Many of these crops are in fairly short supply, so fresh, locally grown foods have to be imported. The opportunity for early adapters to make fairly good money is present,” he says. On the other hand, growers can’t be overly aggressive in their pricing or they’ll drive away the market. Overall, VanVranken believes that growth in the sector will continue as more ethnic crops get picked up by consumer magazines and promoted throughout the media.